Case prepared by Mr. Elem Khairullin, LL.M. student at the Geneva Academy of International Humanitarian Law and Human Rights, under the supervision of Professor Marco Sassòli and Ms. Yvette Issar, research assistant, both at the University of Geneva. [N.B. : An authorization to investigate pursuant to the present request was granted by the Pre-Trial Chamber on 27 January 2016 (ICC Doc No. ICC-01/15). While the request and the subsequent authorisation cover a number of war crimes and crimes against humanity, the present case-study is limited to the discussion of the war crime of intentionally attacking peacekeepers. 1. The Prosecutor hereby requests authorisation from the Pre-Trial Chamber I, pursuant to article 15(3) of the Rome Statute, to proceed with an investigation into the Situation in Georgia covering the period from 1 July 2008 to 10 October 2008, for war crimes and crimes against humanity allegedly committed in and around South Ossetia. · Intentionally directing attacks against Georgian peacekeepers by South Ossetian forces; and against Russian peacekeepers by Georgian forces. 21. Clashes broke out between Ossetians and Georgians at the end of 1989 in Tskhinvali, capital of South Ossetia following a march on the city organised by Georgian nationalists purportedly to protect the Georgian population. In September 1990, South Ossetia declared its sovereignty as a Soviet Democratic Republic within the USSR, which was followed by the election of a nationalist government in Georgia in October 1990 that formally abolished the autonomy of South Ossetia and set up a blockade of the territory that lasted until June 1992. Rising tensions and further clashes between Ossetians and Georgians escalated into a non-international armed conflict between 1990 and 1992. During this conflict, the government in Georgia was ousted in January 1992 by a coup d’état and South Ossetia declared its independence from Georgia on 29 May 1992. 22. The two-year conflict with South Ossetia ended on 24 June 1992 with the signing in Sochi of the Agreement on Principles of Settlement of the Georgian-Ossetian Conflict by the Presidents of Georgia and the Russian Federation. The Sochi agreement established a civilian commission, a Joint Control Commission (JCC) and a Joint Peacekeeping Force (JPKF) for South Ossetia. The JPKF was to be commanded by a Russian officer and consisted of three battalions of 500 servicemen each provided by Russia, Georgia and North Ossetia. The Conference for Security and Cooperation in Europe (CSCE) established an observation mission in November 1992 in the context of the South Ossetian conflict, mandated to assist conflicting parties in reaching a peaceful political settlement. 23. At the time, South Ossetia became a semi-autonomous area governed by a South Ossetian de facto administration, which was not recognized by the Georgian Government. 28. On 16 April 2008, President Putin signed a decree authorising official ties and relations with Abkhazia and South Ossetia. Pursuant to the same decree, representative missions of the Russian Ministry of Foreign Affairs were opened up in Sokhumi and Tskhinvali. While this decision was criticised by the international community, South Ossetia took it as recognition of its independence. 31. During the afternoon of 6 August 2008, there was exchange of fire along virtually the entire administrative boundary line, with particular hotspots in the Avnevi-Nuli-Khetagurovo area (west of Tskhinvali) and the Dmenisi-Prisi area (east of Tskhinvali). At around 14h00 on 7 August 2008, the Georgian peacekeeping contingent stationed at Avnevi checkpoint came under heavy shelling from South Ossetian positions. Later that day, Georgian representatives left the JPKF HQ in Tskhinvali. At 19h00 (Tbilisi time), Georgian President Mikheil Saakashvili stated in a televised address that he had just ordered Georgian troops to unilaterally suspend military operations. The ceasefire was also observed by South Ossetian forces and held until 22h00 when the firing reportedly resumed. 32. Shortly before midnight, at 23h50 on 7 August 2008, Georgian artillery units reportedly began firing at targets in South Ossetia, including in the city of Tskhinvali, marking the widely acknowledged beginning of the armed conflict. 142. The actus reus of the war crime of attacking personnel or objects involved in a humanitarian assistance or peacekeeping mission requires that the perpetrator directed an attack of which the object was personnel, installations, material, units or vehicles involved in a humanitarian assistance or peacekeeping mission in accordance with the Charter of the UN, and that the perpetrator intended such personnel, installations, material, units or vehicles so involved to be the object of the attack. It is further required that such personnel, installations, material, units or vehicles were entitled to that protection given to civilians or civilian objects under the international law of armed conflict. a) First, whether the peacekeeping mission under the Sochi agreement was established “in accordance with the Charter of the UN”? b) Second, whether the personnel, installations, materials, units and vehicles of the JPKF was entitled, at the time of the attack, to the protection afforded to civilians and civilian objects? 148. The JPKF consisted of members of armed forces from the parties to the conflict organised in three peacekeeping battalions: a Russian battalion, a Georgian battalion and a battalion from North Ossetia. Each battalion was manned by approximately 500 soldiers. Battalions operated under a joint command coordinated by the JPKF commander who was nominated by the Russian Defence Ministry and appointed by the JCC. 149. The UN Security Council made multiple supportive references to the [Sochi A]greement, without formerly endorsing it. The OSCE, a regional arrangement in the sense of Chapter VIII of the UN Charter, held observer status at the JCC. 150. The Government of Georgia informed the Prosecution that the Georgian authorities persistently objected to the presence of the Russian peacekeepers in the region during the couple of years prior to the 2008 armed conflict and demanded from the international community the replacement of the JPKF with an internationalised peacekeeping mission instead. According to Georgian authorities, Georgia undertook certain measures to address the problem before different international forums. […] Yet, the Georgians [sic] authorities admitted that the Sochi Agreement “formally remained in force for Georgia until the official revocation was completed”. Therefore at the time of the attack, the JPKF, including the RUPKFB, were deployed with the consent of the parties, even though “tainted consent” as far as Georgia was concerned. 152. The Government of Georgia cited several international sources to argue that Russia, including the Russian peacekeeping forces deployed in Georgia, were not impartial, but were constantly supporting the South Ossetian de facto authorities. For instance, on 29 November 2007, referring to the situation in both Abkhazia and South Ossetia, the European Parliament adopted a resolution noting that “the Russian troops have lost their status of neutral, impartial peacekeepers” and that “the Moscow authorities’ decision to grant Russian passports to the people living in those parts of Georgian territory is further destabilising the situation”. 153. The Georgian authorities further argued that the JPKF’s impartiality was violated because the North Ossetian contingent of the JPKF was manned by South Ossetians contrary to the Sochi agreement that the JPKF should not have included South Ossetian forces. 155. The information available at this stage indicates that sporadic incidents that might have jeopardized the impartiality of particular peacekeeping battalions did not necessarily affect the impartiality of the JPKF as a whole peacekeeping mission which was meant to stem from its very hybrid nature, and which in effect lasted for almost 16 years. 156. Peacekeeping missions which may only use force in self-defence are protected from attack under article 8 of the Rome Statute while peace-enforcement missions established by the UN Security Council under Chapter VII of the UN Charter, which are permitted to use force beyond self-defence in order to achieve their objectives, are protected by international humanitarian law. 157. The term “peacekeeping mission” includes both missions established by the UN and those foreseen by the UN Charter. According to articles 52(1) and 53(1) of the UN Charter, unions of States and international organisations with the goal of maintaining peace and security are allowed, provided that they are consistent with the Purposes and Principles of the United Nations and their powers of enforcement are authorized by the Security Council. 159. Although some of its tasks amounted to robust peacekeeping, the JPFK was not allowed to use force except in self-defense; instead peacekeepers had to monitor violations of the ceasefire agreement and report them to the JCC. In return, the JCC was required to investigate such violations. 160. Despite some ambiguities that increased over time, the information available indicates that the JPKF fulfilled the criteria of a peacekeeping mission in accordance with the UN Charter and so was entitled to protected civilian status. 162. Article 50 of Additional Protocol I and article 13(3) of Additional Protocol II establish that civilians are protected under IHL “unless and for such time as they take a direct part in hostilities”. Thus, personnel involved in peacekeeping missions enjoy protection from attacks unless and for such time as they take a direct part in hostilities or in combat-related activities. Examples of direct participation in hostilities include: “bearing, using or taking up arms, taking part in military or hostile acts, activities, conduct or operations, armed fighting or combat, participating in attacks against enemy personnel, property or equipment, transmitting military information for the immediate use of a belligerent, and transporting weapons in proximity to combat operations”. The requirement ‘for such time’ indicates that the timing of the attack is critical. Nevertheless, they do not lose such protection if they use armed force only for the purpose of self-defence. 163. Installations, material, units or vehicles involved in a peacekeeping mission are also entitled to the protection given to civilian objects, unless and for such time as their nature, location, purpose or use make an effective contribution to the military action of a party to a conflict and insofar as their total or partial destruction, capture and neutralisation, in the circumstances ruling at the time, offers a definite military advantage. 165. The most serious incident allegedly happened at around 14h00 on 7 August 2008 in Avnevi where South Ossetian forces attacked Georgian peacekeepers who manned a checkpoint. The checkpoint was reportedly heavily shelled with 100mm and 120mm artillery by South Ossetian forces unit located in the village of Khetagurovo. It is alleged that as a result of the attack, two Georgian peacekeepers were killed, five peacekeepers were wounded, and that the Georgian peacekeeping unit’s armoured vehicle was destroyed, followed by the return of fire by the Georgian peacekeepers. 167. The exact timing of this event and the precise circumstance surrounding the conduct alleged will require verification in the context of any authorised investigation. The event appears at the minimum to have preceded the formal commencement of the armed conflict at 23h50 on 7 August 2008. However, given the temporal proximity of the events and their close connections to a number of precursor acts which escalated the level of violence, any authorised investigation will need to establish on the basis of the evidence collected that there was a sufficient nexus between the killing of the Georgian peacekeepers and the contextual elements for war crimes or crimes against humanity. The available information at this stage suggests that such a nexus exists. 168. In particular, the information available provides a reasonable basis to believe that, by the time of this incident at the latest, hostilities between Georgian armed forces and the highly organised South Ossetian forces were sufficiently intense to constitute a non-international armed conflict. Because the attack against the Georgian peacekeepers occurs in the context of this armed conflict it would, at a minimum, constitute a war crime pursuant to article 8(2)(e)(iii). Alternatively, if it can be established that the Russian armed forces in fact exercised overall control over South Ossetian forces at the time of this incident, the armed conflict would have been rendered international and the relevant conduct would give rise to the application of the law of international armed conflict, providing criminal jurisdiction pursuant to article 8(2)(b)(iii). 169. Despite the limited information available on the precise circumstances of the attack, the fact that peacekeepers were attacked is not disputed by any party. The allegation that the Georgian peacekeepers may have initiated the attack does bring into question whether at the time of the attack they had lost their entitlement to the protection given to civilians and civilian objects. However, bearing in mind the low threshold applicable at this stage of the procedure, and the presumption of civilian character that governs the application of the law in case of doubt, the Prosecution has concluded that there is a reasonable basis to believe that South Ossetian forces committed the war crime of intentional directing an attack against personnel and objects involved in a peacekeeping mission pursuant to article 8(2)(b)(iii) or article 8(2)(e)(iii). 172. While the fact that an exchange of fire in and around the RUPKFB HQ [Russian Peacekeeping Forces Battalion headquarters] occurred on 8 August 2008 is not contested, the two main contentious issues that arise from the submitted accounts are: (i) whether the Russian peacekeeping contingent RUPKFB HQ were at the time directly participating in the hostilities and/or that their infrastructure was being used to make an effective contribution to the military action of a party to a conflict, and were thus rendered a legitimate military target; and (ii) whether the Georgian armed forces initiated the attack or instead responded to live fire coming from the direction of RUPKFB HQ. The attack on the RUPKFB HQ on 8 August 2008 resulted in the death of ten Russian peacekeepers while 30 others were wounded. 177. In support of its claim that the attack was premeditated and prepared well in advance, the Russian authorities submitted two CDs that were allegedly seized by Russians armed forces in South Ossetia after the withdrawal of Georgian armed forces. These two CDs were dated between 2005 and 2007 and are reported to contain targets for future military operations, including RUPKFB HQ. 181. In addition to the allegations that it was the Georgian troops that were first fired at from the RUPKFB HQ, the Georgian authorities have also alleged that the Russian peacekeepers had lost their protected status because they took direct part in hostilities as of 22h30 on 7 August 2008. It is alleged that the Russian peacekeepers contributed to the military advantage of the South Ossetian forces by providing them with the coordinates of Georgian troops and by making the infrastructure of the RUPKFB HQ available for South Ossetian military positions. 183. According to the Russian authorities, (…) the peacekeepers were constantly reporting on the movements of tanks and artillery firing on the ground as part of their mandate. The communication lines of the JPKF, including the Russian peacekeepers, were said to have been deliberately left open for transparency purposes. Under the Sochi agreement and applicable protocols, a degree of coordination between peacekeepers and parties to the conflict was allowed. Whether the provision of coordinates was therefore permitted within the applicable legal framework remains contentious at this stage. 185. In addition (…), the Georgian authorities have argued that the Russian peacekeeping forces actively contributed to the military advantage of both the Russian regular forces and South Ossetian forces by providing them access to the RUPKFB HQ facilities and infrastructure. 187. Reportedly, however, the peacekeeping mission was strictly forbidden to host members of the South Ossetian forces. South Ossetian citizens were also not allowed in the compound, except those who needed medical care and were admitted to the medical unit. Furthermore, the activities of the Russian peacekeepers were subject to the close scrutiny of relevant stakeholders and the presence of South Ossetian fighters at the RUPKFB HQ would have been easily known. 189. The information available remains indeterminate in relation to a number of issues related to whether the Russian peacekeeping contingent RUPKFB HQ had at the time of the attack lost their entitlement to the protection given to civilians and civilian objects. […] However, bearing in mind the low threshold applicable at this stage of the procedure, and the presumption of civilian character that governs the application of the law in case of doubt, the Prosecution has concluded that there is a reasonable basis, at this stage, to believe that the war crime of intentionally directing an attack against personnel and objects involved in a peacekeeping mission has been committed with respect to the intentional directing of attacks by the Georgian armed forces against Russian peacekeepers personnel and installation at the JPKF HQ and the RUPKFB base during the night of 7 to 8 August 2008, pursuant to article 8(2)(b)(iii). a. Does IHL provide for a special status for peacekeeping forces? Does it define peacekeepers? Is there a generally recognized definition of peacekeepers in the UN Charter? In international law in general? What three criteria does the Office of the Prosecutor (OTP) use to define peacekeepers? 3. (Paras 22, 151-155) Do you agree with the OTP’s finding that the impartiality of the JPKF was not affected as a whole? If not, what would be elements that, in your opinion, would have undermined it? a. With regard to the requirement of non-use of force beyond self-defence, where is the difference between ‘robust peacekeeping’ and full-fledged Chapter VII peace-enforcement missions? If peacekeepers are authorized to take all necessary measures to enforce peace and order, do they automatically become a party to the conflict? If they do, does this mean that they lose their protected status? 5. (Paras 145-160) Would you say that, on the balance of different factors analysed in the paragraphs referred to, the JPKF should be considered as a peacekeeping mission in accordance with the UN Charter? In whole? In part? Before a particular moment in time? a. (Paras 181-183) Does the provision of coordinates of Georgian troops to South Ossetian militia result in loss of protection for the Russian peacekeepers? Does it depend on whether the coordinates were communicated as part of a particular operation? b. (Paras 181, 185-188) Does providing South Ossetian militia with facilities and infrastructure (including medical facilities) result in loss of protection for the Russian peacekeepers? For these facilities and infrastructure? Does it depend on whether and to what extent they were used in a particular attack (ex. if shots were fired therefrom)? c. (Paras 177-178) Does the alleged coordination between the Georgian peacekeepers and the Georgian armed forces make the former lose their protected status? b. Could the alleged help by the Russian peacekeepers to the South Ossetian forces affect the impartiality of the JPKF altogether? Of the Russian battalion? 10. (Para 161) According to the IHL presumption of protected status, “[i]n case of doubt whether a person is a civilian, that person shall be considered to be a civilian”. According to the ICL principle in dubio pro reo, in case of doubt the target would be considered as legitimate, as such interpretation would be more favourable to the accused. Are the said presumptions in conflict? If so, how can they be reconciled? 11. Could an attack against a peacekeeper start an armed conflict (i.e. 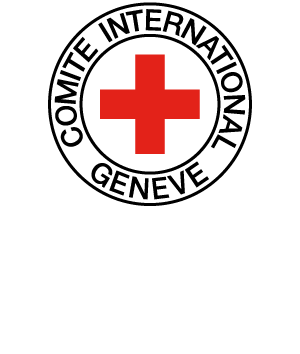 trigger the applicability of IHL)?